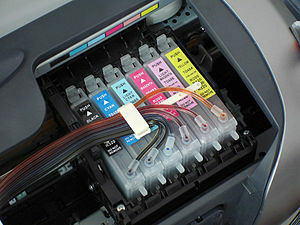 While economists and business analysts have been busy fretting over the rate of the economic recovery, grossly focused on the latest jobs report, GDP figures and the inflation rate, maybe there is a more obvious indicator they should have been paying attention to all along: the ink cartridge business. It’s something many businesses cannot live without: the ability to print checks, invoices, records and receipts. And at prices ranging from $25 to $200 apiece, printer, ink and toner purchases can be among the more expensive for a company. “If business is just down, you’re simply doing less printing,” stressed Scott Testa, professor of business administration at Cabrini College in Philadelphia.